Christmas is such an exciting time of year for kids. Actually it’s an exciting time of year for kids and adults;) I love to watch my children experience the joys of the holiday season and I look forward to making it as special as possible each year! Your kids will love this fun and fluffy snowman sensory bin! A great ‘snow’ sensory activity for indoors! Who doesn’t love gingerbread men?! What a great way to let your child practice using a cookie cutter and to work on sensory stimulation! Christmas trees are one of the best parts of Christmas in my opinion:) What a great idea for the holiday season! This bin is exploding with Christmas cheer! 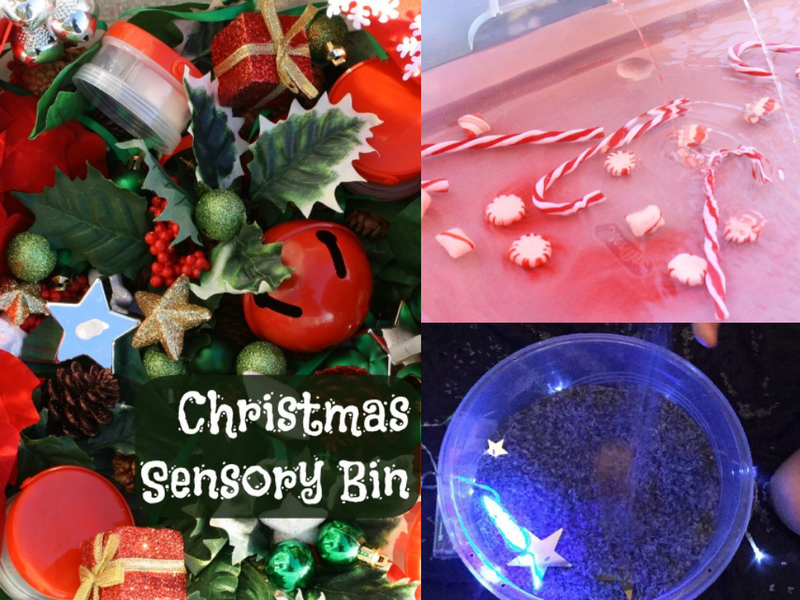 What a wonderful sensory bin for the holiday season! This looks like so much fun! And I bet it smells amazing with all of that peppermint candy! Sensory fun with stars and lights! A great glow in the dark sensory bin! More gingerbread sensory play! This is just too adorable not to do! 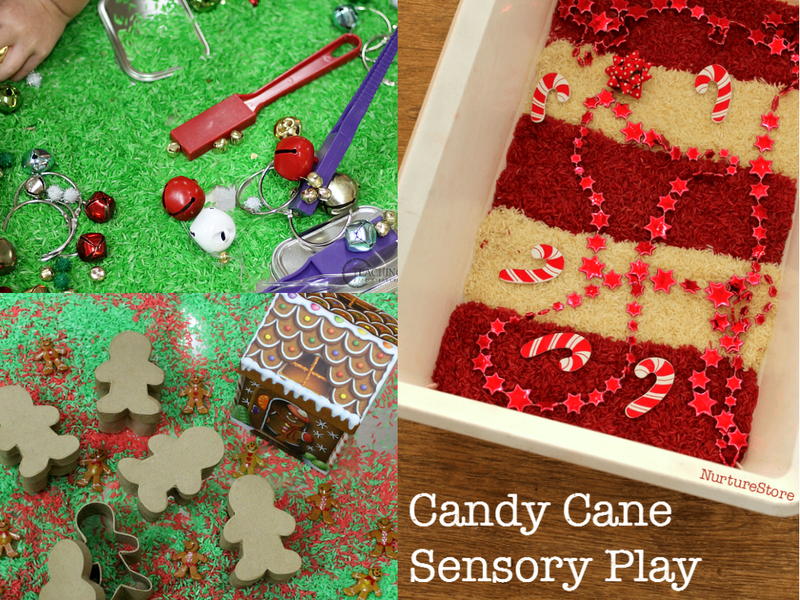 Candy cane sensory play! This candy cane sensory bin doesn’t have any water, making it a less messy option. But it looks like lots of fun! Mmmh, hot chocolate! 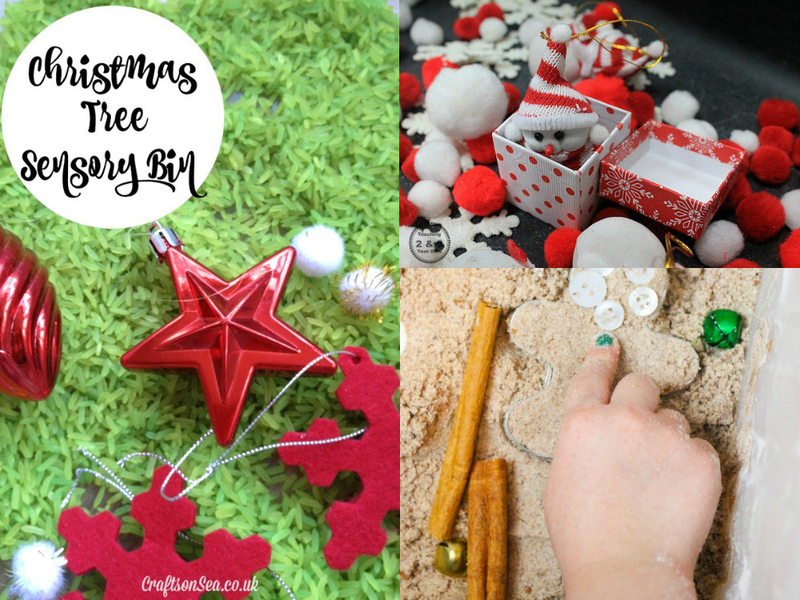 A great wintery treat turned into a fun sensory activity! 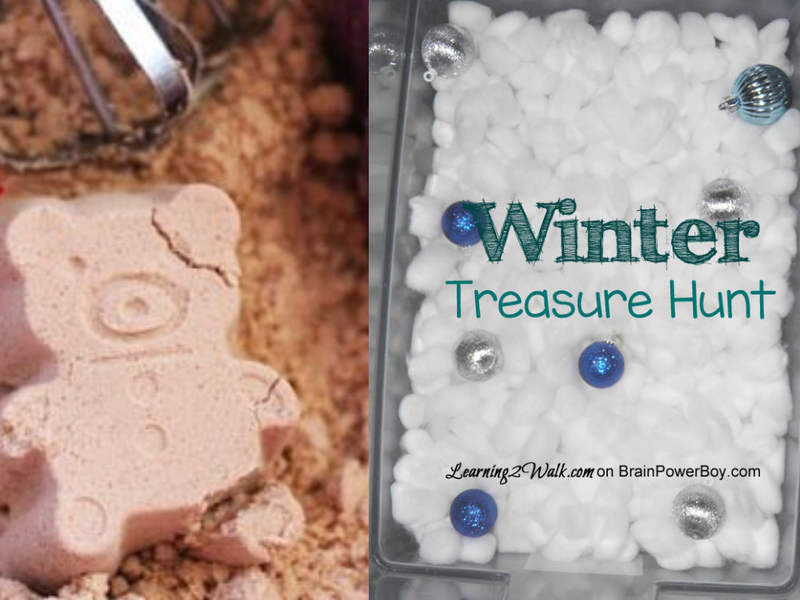 This winter treasure hunt sensory bin is sure to keep your little ones busy for a while! Lots of fun and exploring while stimulating the senses! 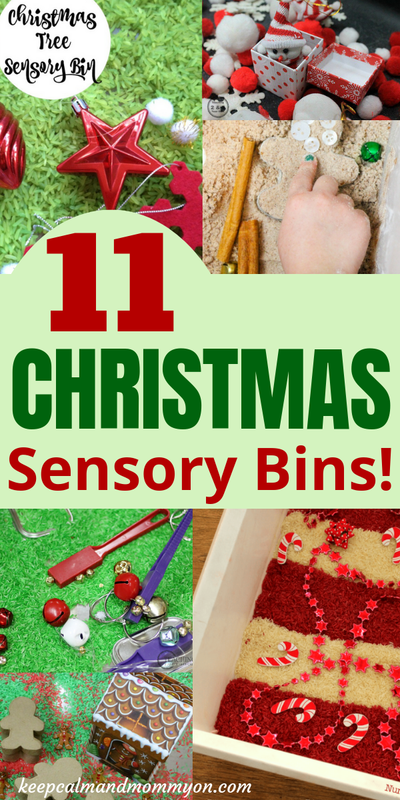 And that is 11 sensory bins to create for your child this holiday season! I hope you enjoy them:) Which ones are your favorites? 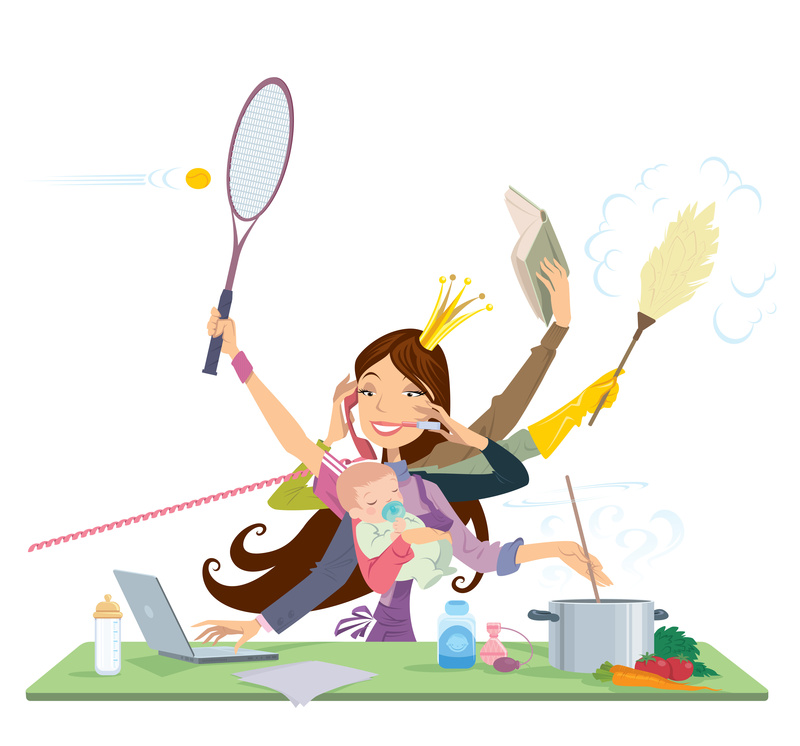 Leave me a comment below and let me know which ones you plan to make with your child! « How to Make Halloween Cakes!